The Committee received a briefing on the National Gambling Amendment Bill which was an important piece of legislation that the National Council of Provinces, and the provinces, would have to engage extensively. There was an urgency to the work of the Committee which had to ensure that provinces conducted public hearings and facilitated public participation so that provinces would be able to provide the Committee with a mandate for voting by the deadline of 20 March 2019. The Committee had to finalise its processes on the Bill by that date to ensure that it was tabled in the National Council before Parliament rose to prepare for elections. The Department of Trade and Industry and the Administrator of the National gambling Board briefed the Committee and a number of provincial representatives on key aspects of the Bill. The rationale for the Bill was to provide for the reconfiguration of the National Gambling Board which would become the National Gambling Regulator led by a Chief Executive Officer without a board structure. Other issues included the automatic forfeiture of unlawful winnings to the National Gambling Regulator and the extension of the National Central Electronic Monitoring System from limited payout machines only to include all modes of gambling. One of the most controversial changes was a change to the requirements for a quorum in the National Gambling Policy Council. Instead of requiring five provinces and the Minister of Trade and Industry to take a decision, the Council would be able to make a final decision in the second meeting with the majority of the members present in that meeting. The Council could not be disbanded. It was an essential structure to ensure coordination between national and provincial governments as gambling fell under Schedule 4 of the Constitution and was, consequently, a concurrent function. The intention in changing the quorum was to address the inertia created by the non-attendance of Council meetings by provinces. Aware of the time constraints under which the provinces would have to address the Bill, Members asked why the Department had taken from 2015 to 2018 to present the Bill to Parliament. Members were concerned about online gambling and asked to what extent the Amendment Bill would address the problems encountered with online gambling. One Member asked whether the Bill had taken the Fourth Industrial Revolution into account. While Members could appreciate the motivation for changing from a board to a regulator, they asked why there had to be a National Gambling Regulator and a separate National Lottery Commission. Why could the gambling and lottery organisations not be amalgamated under a single regulator? Several Members questioned the change to the quorum in the National Gambling Policy Council. One Member queried the legality of the process of decision-making while another Member stated that it was simply bad law and he would never accept the fact that two or three provinces would be able to take decisions that could be imposed on all provinces. Members enquired about programmes for people who experienced problems with gambling and how much the gambling operators contributed to such programmes. Members were extremely skeptical about the proposal that funds from illegal gambling activities revert to the National Gambling Regulator and questioned both the principle and the practical application of such a proposal. The Chairperson began by welcoming everyone to the meeting and asked everyone in the room to introduce themselves. He noted a large representation of members of provincial legislatures and other provincial representatives. He wished everyone well for the new year. The Chairperson welcomed the Department of Trade and Industry (DTI) representatives. He looked forward to the briefing by DTI on the National Gambling Amendment Bill. It was a particularly important piece of legislation, and, he noted, it was a section 76 piece of legislation. He appreciated the presence of the National Gambling Board. The Chairperson stated that it was very important for the Committee that it consulted on the piece of legislation before it. He was quite excited that the Committee was commencing the new year with the important amendments to the National Gambling Act. The Chairperson stated that the Committee would be receiving a briefing from the DTI. He asked that Members be mindful of the fact that the briefing was only the commencement of a long process as Members would have to consult in the provinces, but he encouraged Members to clarify any technical details that were unclear to them. He noted that some of the provinces had already sent their researchers, content advisors and legal teams to listen in. When hearings were held in the provinces, Dr Masotja would delegate people to assist with the work. 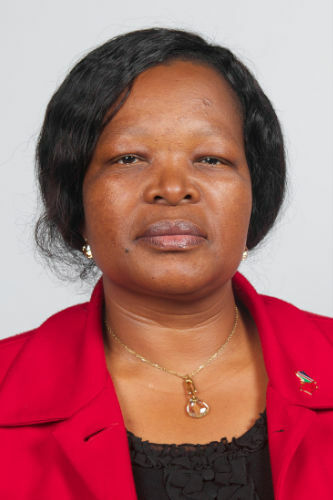 Dr Evelyn Masotja, Deputy Director General (DDG): Consumer and Corporate Regulation Division (CCRD), DTI, indicated that she and Ms Caroline Kongwa, Administrator at the National Gambling Board (NGB), would be briefing the Committee. Dr Masotja began with the historical developments, beginning with the Wiehahn Commission in 1995 that had set the key principles for the current Gambling Act. She briefed the Committee on the legislative development of the Bill. The rationale for the Bill was, inter alia, to provide for the reconfiguration of the National Gambling Board (NGB) which would become the National Gambling Regulator (NGR) led by a CEO without a board structure; the automatic forfeiture of unlawful winnings to the National Gambling Regulator; the quorum of the National Gambling Policy Council to make a final decision in the second meeting with the majority of the members present in that meeting, and to extend the National Central Electronic Monitoring System to include other modes of gambling. Clause 12 amended section 27 to provide for the extension of the National Central Electronic Monitoring System (NCEMS) should that the system would monitor casino, bingo and other betting activities under the auspices of the NGR. It would be a move away from the current system that was self-operated by operators who, in turn, shared the data with the provincial licensing authorities. Clause 26 inserted section 63A which provided that, in cases where there was a National Gambling Policy Council (NGPC) meeting and there was no quorum, the decision on issues tabled would be made in the next meeting, provided the issues were supported by the majority of the voting members present at that meeting. The intention was to address the delays caused by the lack of a quorum which affected the making of policy decisions and other coordination efforts of the National Gambling Policy Council. Clause 40 inserted section 76A to provide for additional powers of the national gambling inspectors that they might act with or without provincial inspectors to investigate illegal gambling activities. It included powers to serve the illegal operator with notice to stop operating pending investigation, litigation and prosecution. The Chairperson knew that Dr Masotja had been well-advised by the legal teams at the DTI and she had taken into account the deliberations of the National Assembly, but the National Council of Provinces (NCOP) did not just accept those decisions. The mandate of the NCOP Members came from the NCOP public hearings and consultation with the provincial legislatures. Because Members had to present the Bill to their provinces, they had the opportunity to engage with the presentation. The Chairperson noted that the presentation indicated that most of the provisions were merely technical or editorial to clarify provisions in the Act and that most of the amendments replaced either the words “board” or “CEO” with the words “National Gambling Regulator”. The Committee would simply note those amendments, but Members were free to ask questions about technical and consequential amendments. Mr W Faber (DA; Northern Cape) appreciated the presentation. He noted that it was a section 76 Bill and would have to go to all the provinces. He hoped that provinces would have public participation. Members should be at public hearings to listen to what the people had to say about the Bill. Mr Faber understood that the National Gambling Board would change to a National Gambling Regulator. As the NGB had been under administration for quite a while, he asked about the impact of the Administrator on the organisation and how the Administrator had affected gambling, and online gambling, in particular. He mentioned that the DTI had made a presentation to the Committee previously about online gambling. How far had the Department got in respect of protecting South Africans from all the online gambling sites? Mr Faber recommended that if there were a Gambling Regulator, then there should be a single Regulator for Gambling. The National Lottery Board and the Gambling Regulator should fall under one Regulator as there were so many Regulators sitting on their own ‘heap’. All the gambling bodies should fall under one Regulator, and the DTI should have done that from the start. Mr Faber noted that there had not been a quorum of the National Gambling Policy Council for over a year. That was unacceptable. How could one do anything or make any decisions if one did not have a quorum? He asked for clarity in respect of the roles of the NGR and the National Lottery Board (NLB), which had been fully functional. He knew that as one saw the lottery winnings – it was just he that did not win. Could they not fall under one Gambling Regulator? Mr I Rayi (ANC; Eastern Cape) was concerned about the extensive time that it had taken the Department to get the Amendment Bill to Parliament, i.e. from 2015 to 2018. There was a possibility that the Members would only be in Parliament until the end of March before it rose for the election campaign and if that Bill was not finalised, it would collapse, and the process would have to start afresh. He noted that it was only an Amendment Bill, not a comprehensive Bill. There was not much in the Bill. It should not have taken the DTI three years to get it to Parliament. Was there an explanation for the delay? Regarding the NGR and the NGB, the presenter had not given a motivation for the change. DTI had to present the reasons for the change so that the Committee could consider those reasons in deciding whether or not to agree with the change. He did not understand the challenge with the Council. Why did the Minister not decide on policy matters with the Department? Even the proposal that decisions be taken at a second meeting could be challenged by those who were not at the meeting, especially if they were in the majority. He was not a legal fundi, but the process could be challenged. The Committee needed Parliamentary Legal Services to advise the Committee on that matter. He suggested that the Bill did away with the Council and that the Minister take the decisions himself. Mr Rayi asked about the winnings from illegal gambling. In the past, the funds had gone to the National Revenue funds. If the funds went to the NGR, would those funds be regarded as part of the budget and how would the funds be used? Some of the Competition Commission penalties went to the Revenue Fund and other funds to advance economic development. What would be the role of the provincial gambling boards if there were a National Regulator? Regarding the unlawful gambling, Mr Rayi asked whether the penalty of five years was enough for that offence? What about repeated offenders? Mr Tony Duba, ANC Member of the Eastern Cape Provincial Legislature and Chairperson of the Economic Development and Environmental Affairs and Tourism Committee, noted that the public would still have an opportunity for input into the Bill. He asked for clarity on a number of matters. Was there a register for problem gamblers? What was the logic of giving the money raised via penalties to the NGR? Was it going to be part of the budget, and was that sustainable? Mr Duba asked the DTI to repeat the explanation on clause 12. Concerning clause 26 on the majority quorum, he agreed with Mr Rayi, particularly about the issue of accountability. He asked for a definition of a quorum. If Ministers and ministers of the provincial legislatures were not attending Council meetings and delaying processes and preventing collaboration with other departments, were those people running away from accountability? However, if the NGB was changing to a Regulator, the Regulator could be available in a way that ministers could not be, so why could the Regulator not run with it? Mr Duba had concerns about a national inspectorate. How was the inspectorate going to work and what was the role of the provincial inspectorate? He believed that the national inspectorate would do everything, regardless of the provincial inspectorate. He did not want to see a Bill filled with arrogance that would find resistance on the ground. Dr Masotja replied that the Administrator was currently providing leadership to the NGB. DTI was mindful that that had been the case for many years, but the performance of the Board had been very good in the time that it had been under administration. There were some measures to deal with online gambling, but it was work in progress. In terms of the performance of the Administration versus the board, the organisation had been stabilised and good work had been taking place. There were different views about the online gambling and the Administrator would add to her answers. As far as DTI was concerned, online gambling should remain prohibited. The amalgamation of National Lotteries Board, which was now the National Lotteries Commission, and the NGB had been flagged by stakeholders, but it was a policy discussion for the future as it would require extensive engagement. At the moment, the Commission and the Board tackled different aspects of gambling and lottery activities. Dr Masotja explained that when the process of developing the Bill had begun in 2015, the Bill had been a comprehensive one, but included many contentious issues, such as dealing with bookmakers using National Lottery numbers for gambling. In the previous year, the Portfolio Committee on Trade and Industry had removed many of the contentious issues, such as the horse racing aspect. There had also been many delays as a result of extensive public hearings and consultations undertaken by the Department that had delayed the Bill. She accepted the point made by Mr Rayi that the delay could affect the future of the Bill in the light of Parliament’s timeframes. Dr Masotja apologised for not giving the reasoning behind the proposal to move from a board to a regulator. The DTI promoted strong Regulators. DTI research had proved that a regulator structure was a much stronger structure than a board. Hence the majority of DTI entities had regulators, such as the National Credit Regulator, that had replaced the National Credit Board. It was an approach that DTI had adopted generally, but also, in that particular case, to strengthen the enforcement element in respect of illegal gambling activities. The Policy Council was prescribed in terms of the number of MECs that made up a quorum, the Minister’s role, etc. There had been many challenges with the Council. Different options had been tried, including the round robin method, and had not been successful. DTI had consulted legal services and had been assured that the legislation would make it legal. Dr Masotja remarked that there were inconsistencies in the way that provinces approached the regulation and operation of gambling, but gambling was a concurrent function, as declared in the Constitution, and so the Council had to remain. If MECs wanted to participate in the decisions, they would have to attend the meetings. There had to be cooperative governance. It was not meant in a negative way, but was intended to make the Council operational. Dr Masotja stated that unlawful winnings funds would go to the NGR in terms of the Amendment Act. Currently, austerity measures in the country were limiting activities and those funds would allow the NGR to address some of the issues relating to illegal gambling activities, such as online gambling. In response to Mr Duba’s question about the sufficiency of the removal of illegal operators from the list, she explained that the five-year ban was intended as a deterrent measure. It would affect the reputation of the operator and, hopefully, influence others. Whether it was strong enough was debatable, but it would be sufficient deterrent to discourage others from participating in illegal activities. Being unable to participate in gambling activities was, in itself, a major deterrent. The Central Electronic Monitoring System was currently restricted to limited pay-out machines and the DTI wanted it to apply to all other modes of gambling. The system would provide a great deal of information about gambling and enable the Regulator to detect problems. The provinces also received information from the electronic system. If the system were the responsibility of the NGR, it would be able to ensure the credibility of information about gambling in the country and be able to detect problems as they arose. Mr Nkoatse Mashamaite, Director: Gambling Law and Policy, DTI, informed Mr Duba that the National Gambling Act defined the quorum of the Council as five MECs plus the Minister. The Minister, as well as the MECs, had to agree in order for a decision to be taken. Dr Masotja added that the Amendment Bill did say that, with or without the provinces, the national inspectorate would investigate illegal gambling activities, but it was not meant in an arrogant manner. There had been challenges for the NGB when it wanted to perform certain functions in the provinces as it required certain approvals and assistance. The intention was to strengthen the NGR so that it would be able to carry out specific functions and address issues such as illegal gambling, even if the provincial inspectorate was not available. The point was to encourage cooperation between national and provincial levels, but also to empower the NGR. Ms Kongwa responded to the question about the impact and effect of online gambling from an implementation point of view. The Board had made progress in combatting online gambling, but there was a problem with prosecuting. The challenge was getting evidence off the servers, which were generally not in SA, to prove that illegal gambling had taken place. As a form of protection for punters, the message being sent out was that a punter would lose any illegal winnings. Online gambling took place in a private place and so was difficult to regulate but when a punter tried to collect his or her online winnings, those would be confiscated. The banks had been asked to assist in confiscating the payments made out to online gamblers. In terms of Schedule 4 of the Constitution, Ms Kongwa explained that the national lottery was not listed as an area of concurrent jurisdiction, so the amalgamation of organisations was a matter that would have to take the Constitution into account. The state lottery was purely for good causes and there could be complications from a constitutional perspective. One would also have to deal with the issue of whether all revenue from all gambling, even in the provinces, would have to go towards good causes. Ms Kongwa added that the move from NGB to NGR, from her experience as an administrator, had ensured that the entity was able to function more effectively because, previously, even day-to-day operational matters had had to wait for a Board meeting. She added that the NGB was an advisory body and not a licensing body. Ms Kongwa stated that the unlawful winning could not be part of the budget as those monies were irregular but the NGB could raise funds outside of the revenue funds. Automatic forfeiture was important as it was difficult and expensive to go to the High Court for every case of illegal winnings, especially when some winnings were as low as R100. It was not cost effective for government as a junior counsel would cost R30 000 to appear in the High Court. She added that the provincial boards were not affected in terms of the change to a regulator and their functions would remain unchanged. She informed Mr Duba that problem gamblers were currently registered in the Self-Exclusion Register (SER). The board was considering amending the regulations dealing with the Register. Those who believed that they had a problem with gambling were encouraged to register to exclude themselves from the gambling environment and they were advised to go for counselling with the National Responsible Gambling Foundation. Each gambling operator contributed to the Foundation to ensure that problem gamblers received free counselling. Mr Mashamaite noted that Members were using NGR and NGPC interchangeably when talking about the quorum. The quorum issue that the DTI was referring to related the NGPC, i.e. the National Gambling Policy Council which was chaired by the Minister with MECs as members, and not the Regulator which was a different body. If the Council were disbanded, there would be no collaboration or co-operation between national and provincial governments and there would be a conflict of policy, which was what the Council had been set up to deal with. The Council had oversight over the provincial gambling boards. She asked why the Portfolio Committee was shifting the responsibility to the next Parliament. Were the challenges so difficult that they could not deal with them themselves? She also asked about the unlawful gambling operators and how they would be dealt with. Her concern was the fah-fee gambling, especially in Limpopo. Mr O Terblanche (DA; Western Cape) had heard that there had been two public hearings. Where had they been held? His concern regarding the NGB versus the NGR had been addressed by the presenters who had convinced him that it was a valid change. He had previously thought that it was just a name change. He could not believe that there was such a battle to get a quorum. He could not believe what he had heard! But the proposition that even if a couple of provinces attended, they could make a decision was unacceptable. Even Members of the Select Committee could not refuse to attend meetings. That issue had to be resolved at another level. He strongly objected to the clause in the Bill as it was bad law-making. He believed that the round robin method was used extensively across the world. He rejected the quorum issue thrice over. Mr Terblanche had not had time to read the Bill but asked how the NGB determined that someone was an illegal operator. There had to be a process. What was that process? He could not understand how the Bill could allow the NGR to keep the fines paid. It was not a good principle. What about other entities, e.g. South African Police Services, etc.? Could they also keep the penalties and fines that they issued? People had to get their budget through the budgeting process. One could not determine how much one would raise through penalties. Keeping the funds was a bad principle and he strongly objected to the notion. The Chairperson invited the parliamentary legal advisor to respond to the issue on the quorum, as suggested by Mr Rayi. The Chairperson asked about the National Gambling Amendment Act, 2008 which had been passed to regulate interactive gambling, but the Act had not been promulgated. Could the DTI clarify the point? The Chairperson asked whether the DTI had addressed the issue of the Fourth Industrial Revolution (IR). The NCOP was also dealing with the challenges of the Fourth Industrial Revolution and how technology was going to impact on the NCOP. 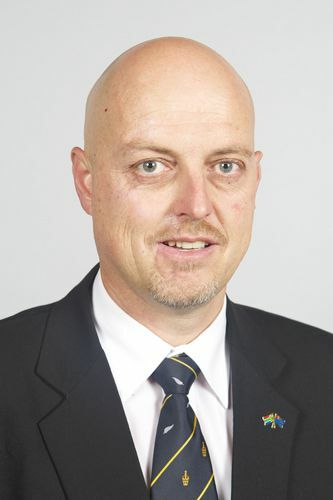 He agreed with Mr Terblanche that Members had not engaged with the Bill as it had only been received the previous week. Had DTI accommodated the challenges of the Fourth IR in the Amendments? He commented that there was a difference between Ithuba, which had the lottery licence to manage the gambling operation and to generate the money, and the National Lotteries Commission (NLC). Ithuba was not a government agency. The company gave an agreed proportion of the profits to the NLC which distributed the money. That was the distinction. The Chairperson stated that a board could not write its own regulations. The Gambling Regulator regulated the gambling industry and, therefore, could exist in its own right. The institutions in the Gambling Act were different. The fah-fee in a village, or a machine in a township behind a shebeen, was not the point. It was about the big gambling institutions, such as casinos. How did the NGR deal with that money? In talking about the Fourth IR, the Chairperson spoke about a youngster using his parents’ Ipad to gamble online illegally and how the parents were responsible for any losses he/she incurred. However, the real problem was the man who spent his income on gambling, thereby depriving the family of money and support. The legislation was intended to protect those people. Mr Faber asked how much of the profit was spent on helping the problem gamblers. He did not know how a compulsive gambler would put his own name on the exclusion list. How much funding was there to protect the families? Were there any programmes to help the families? Mr Faber was confused about the quorum. If the Administrator was running the board, how could there be an issue relating to the quorum, or was the DTI referring to the lack of a quorum in the past? The Chairperson stated that the question had already been answered. Mr Faber was reminded that he was confusing the board/regulator and the Council. Dr Masotja explained that the Bill had been comprehensive and had included horse racing and other difficult issues, but the Bill had been reduced significantly. Those issues might well be discussed in the next Parliament, but the Portfolio Committee and the DTI had been aware of the time constraints for the current Bill. The Portfolio Committee had not been referring to the issues currently being addressed in the Bill. Dr Masotja added that fah-fee was a gambling activity that took place in the communities and was an area of concern. There had been research into it. It was a policy issue that had to be addressed, but the provinces might have their own activities in relation to fah-fee. Dr Masotja explained to Mr Terblanche that the public hearings had been a two-day process and had taken place in Parliament. It was one of the processes that had taken place in relation to the Bill and had been held in Parliament. She heard the concerns about the quorum, but the round robin method had not worked in South Africa, even if it worked on other platforms. Dr Masotja said DTI was concerned about limiting the harmful consequences of gambling and she was glad that Members were aware of the harmful effects of gambling. The DTI had to look for the best balance in terms of ensuring that the harmful effects of gambling were limited while supporting the industry. That was why the Department opposed online gambling. It was difficult to support problem gamblers in their homes. There needed to consistency but, at present, provinces did different things to deal with problem gambling. She added that the fact that the funds obtained from penalties would be variable would not matter if it was about fund raising and not money for budget items. Responding to the question by Mr Terblanche on the raising of funds, Dr Masotja explained that every situation was unique and solutions such as the retaining of penalty monies could only apply in situations where it would work. The Regulator was, by law, permitted to raise funds and DTI believed that that was one of the ways in which the NGR could raise funds to assist in dealing with gambling problems. Dr Masotja explained that the 2008 Act had not been promulgated. Because of the negative impact of online gambling, it had been decided not to promulgate the Act. The Act was a law of the land, but that law had not been implemented. The policy position remained the prohibition of online gambling. Problem gambling was a serious matter, and there were programmes to address the problem. DTI encouraged additional responsible gambling programmes. Ms Kongwa explained that an illegal operator was one who was conducting gambling activities illegally, for example at internet cafes. The NGB had engaged in raids on illegal gambling operators together with the inspectors in the provinces. NGB did not declare anyone an illegal gambling operator without going through the court process. Only once the courts had declared someone an illegal gambling operator, was action taken against that person. Anyone who wanted to apply for a licence, be it an individual to work in a gambling establishment or an operator, went through probity and one of the questions asked was whether the person had ever been convicted of illegal gambling. The NGR would remain a juristic person and, in terms of section 74, the NGR was able to raise funds. However, it was obliged to account to the DTI and to Parliament in terms of its budget and how funds were spent. All financial activities had to be transparent and that would include any funds that the NGR had raised and not received from the Revenue Fund. There was a regulatory cost and a cost of enforcement in any regulatory environment. Even the inspectors incurred costs. Unlawful winnings would simply be used to complement the activities that the NGR was already engaged in. In response to the Chairperson’s question on the Fourth IR, Ms Kongwa stated that the extension of NCEMS to all modes of gambling was an effort to embrace the use of technology. Technology was being used to enable the NGR to execute its mandate. NCEMS was being introduced purely to assist in regulating the gambling industry. If the NCEMS was extended from limited pay-out machines to include all forms of gambling, the system would monitor everything in respect of the gambling operations. Currently the provinces relied on the casino systems themselves to determine the tax that had to be paid. If the NGR had NCEMS, the electronic monitoring would be more reliable and accurate in determining the taxation of gambling operators, as had been proven in the case of the limited pay-out machines which were electronically monitored by provinces. The NCEMS would enhance the oversight responsibility of the NGR. Ms Kongwa informed Mr Faber that gambling programmes were in place. It was a licence condition that each gambling operator contributed 0.1% of their gross gambling revenue. The gross gambling revenue for 2018 had been R 27 billion which meant that R 27 million went into the budget of the National Responsible Gambling Foundation. The provincial gambling boards and representatives from the gambling licensees served on the Board of the Foundation which discussed and determined the programmes that should be conducted. The Foundation was responsible for education and awareness but also offered free treatment to gamblers who needed treatment. The Foundation appointed specialists and counsellors, etc. on a provincial basis. There were different models in the world to assist problem gamblers, but the SA model required the industry to fund such programmes. Ms Kongwa added that one of the requirements of the NGR in the original, extensive Bill had been to set up education and support programmes for which it would have to raise funding. That concept had been left for the more comprehensive Bill that was to be crafted. The Chairperson thanked DTI and NGB for the informative session that had helped the Members to understand the Bill in preparation for deliberations in the provinces and when the Select Committee dealt with written and oral submissions. Mr T Mhlanga (ANC; Mpumalanga) asked about the input from the parliamentary legal team but they had nothing to add. The Chairperson noted that the Members had received copies of the consolidated Committee Programme. The Committee had decided that it would need to meet with the Select Committee on Economic and Business Development. The Select Committee on Trade and International Relations would concentrate on legislation. Apart from the National Gambling Amendment Bill, all other legislation was section 75 bills and did not need provincial hearings. Public hearings on the National Gambling Amendment Bill would be held in the provinces. He informed the Members that the Committee would deal with the final mandates relating to that Bill on 20 March 2019. The Chairperson advised that the Members would not be sitting in Committee the following week because of the State of the Nation Address, but would meet on 12 and 13 February 2019. On 12 February 2019, the Committee would address the National Transport Bill. On 13 February 2019, the Committee would receive the final mandates on the Credit Amendment Bill and the Copyright Amendment Bill, which would take the whole day to finalise. The minutes of 28 November 2018 were presented. The meeting had been held to deal with the National Credit Amendment Bill. The Secretary confirmed that negotiating mandates had been received from only three provinces. The minutes were proposed for adoption by Ms Dikgale and seconded by Mr Rayi. Mr Faber informed the Chairperson that Mr Terblanche’s name had been spelt incorrectly in the minutes. The Chairperson thanked the National Empowerment Fund for the 2019 calendars.